Brittle bones – is modern agriculture to blame? The new study shows that, while human hunter-gatherers from around 7,000 years ago had bones comparable in strength to modern orangutans, farmers from the same area over 6,000 years later had significantly lighter and weaker bones that would have been more susceptible to breaking. Bone mass was around 20% higher in the foragers – the equivalent to what an average person would lose after three months of weightlessness in space. After ruling out diet differences and changes in body size as possible causes, researchers have concluded that reductions in physical activity are the root cause of the loss of human bone strength across millennia. 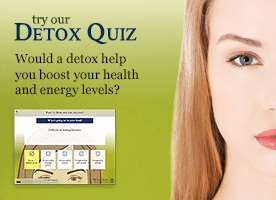 It is a trend that is reaching dangerous levels, they say, as people do less with their bodies today than ever before. Researchers believe the findings support the idea that exercise rather than diet is the key to preventing heightened fracture risk and conditions such as osteoporosis in later life: Carrying more weight and getting more exercise in early life results in a higher peak of bone strength around the age of 30, meaning the inevitable weakening of bones with age is less detrimental. There is, in fact, no anatomical reason why a person born today could not achieve the bone strength of an orangutan or early human forager, say researchers; but even the most physically active people alive are unlikely to be loading bones with enough frequent and intense stress to allow for the increased bone strength seen in the ‘peak point’ of traditional hunter-gatherers and non-human primate bones. “Contemporary humans live in a cultural and technological milieu incompatible with our evolutionary adaptations. There’s seven million years of hominid evolution geared towards action and physical activity for survival, but it’s only in the last say 50 to 100 years that we’ve been so sedentary – dangerously so,” said Dr Colin Shaw, co-author of the study, from the University of Cambridge’s Phenotypic Adaptability, Variation and Evolution (PAVE) Research Group. For the study, r researchers x-rayed samples of human femur bones from the archaeological record, along with femora from other primate species, focusing on the inside of the femoral head: the ball at the top of the femur which fits into the pelvis to form the hip joint, one of the most load-bearing bone connections in the body. 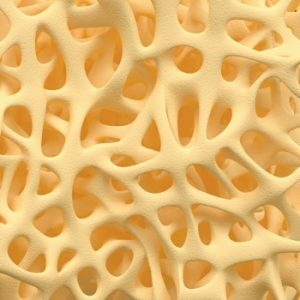 Two types of tissue form bone: the cortical or ‘hard’ bone shell coating the outside, and the trabecular or ‘spongy’ bone: the honeycomb-like mesh encased within cortical shell that allows flexibility but is also vulnerable to fracture. The researchers analysed the trabecular bone from the femoral head of four distinct archaeological human populations representing mobile hunter-gatherers and sedentary agriculturalists, all found in the same area of the US state of Illinois (and likely to be genetically similar as a consequence). The trabecular structure is very similar in all populations, with one notable exception: within the mesh, hunter-gatherers have a much higher amount of actual bone relative to air. “Trabecular bone has much greater plasticity than other bone, changing shape and direction depending on the loads imposed on it; it can change structure from being pin or rod-like to much thicker, almost plate-like. In the hunter-gatherer bones, everything was thickened,” said Shaw. This thickening is the result of constant loading on the bone from physical activity as hunter-gatherers roamed the landscape seeking sustenance. This fierce exertion would result in minor damage that caused the bone mesh to grow back ever stronger and thicker throughout life – building to a ‘peak point’ of bone strength which counter-balanced the deterioration of bones with age. Other theories for humans evolving a lighter, more fragile skeleton include changes in diet or selection for a more efficient, lighter skeleton, which was never reversed. While the initial switch to farming did cause a dip in human health due to monoculture diets that lacked variety, the populations tested were unaffected by this window in history. “Of course we need a level of calcium to maintain bone heath, but beyond that level excess calcium isn’t necessary,” said Shaw. “The fact is, we’re human, we can be as strong as an orangutan – we’re just not, because we are not challenging our bones with enough loading, predisposing us to have weaker bones so that, as we age, situations arise where bones are breaking when, previously, they would not have” Shaw said.